Each city has its own flavour and spice. Discover what these cities have to offer by going out to eat in one of its popular restaurants and bars, strolling through street markets or exploring traditional cuisines with a local. If you want to find authentic restaurants, cozy bars and cafes hidden from tourists in Amsterdam, Prague, Paris, Barcelona or Istanbul check our recommendations and advice below. Amsterdam provides a huge range of ethnic eating in the city. Jordaan has a wide range of restaurants, centred around Tweede Tuindwarsstraat. These include Mantoe, the city's only Afghan restaurant. Most of the Asian restaurants are to be found around Nieuwmarkt and the little tokos shops fill the air with smells of Eastern spices. Indonesian restaurants are a particular highlight. Local specialities include cheese, herring, bitterballen meatballs and Ossenworst, a kind of spiced beef sausage. Try the cheese plate from Caulils or grab a glass of wine at the winebar of the indoor food market! Are you in the mood for the best burger in town? Don't forget to try one at The Butcher! This distillery serves its own Jenever and old liquors made according to the original Dutch recipe. This is an original Amsterdamse bistro where the Dutch old days are still alive. See it and taste it. Established in 1679 this liquor store offers more than 70 Dutch liqueurs in an authentic 17th century environment. Prague is the perfect destination for food lovers. The old traditional pubs won’t just delight you with the finest beers in the world, but also with amazing local food. Here you can find probably the best selection of wines in Prague. Furthermore, the place is specialized in tapas and European cuisine. U Bulinu offers excellent Czech cuisine at a great price. Highly recommended is the goose with bacon dumplings and red cabbage. Here you can eat in a traditional rustic dining room and the specialty of the house is the duck. Brewing continuously for over 500 years, you can taste a vast choice of Bohemian specialities and classical Czech dishes such as Goulash, roast pork and duck as well as Svickova. A real local experience for those who enjoy a loud and energetic atmosphere. However, there’s no guarantee you’ll find a place to sit in this traditional Pilsner beer hall in the heart of old Prague. Try the "sweet chilli brochette" or the "langostine" at one of the best tapas bars in the Poblenou neighbourhood! A small place full of chocolate temptations! Try plenty of yummy creations and experiment with unique flavour combinations! 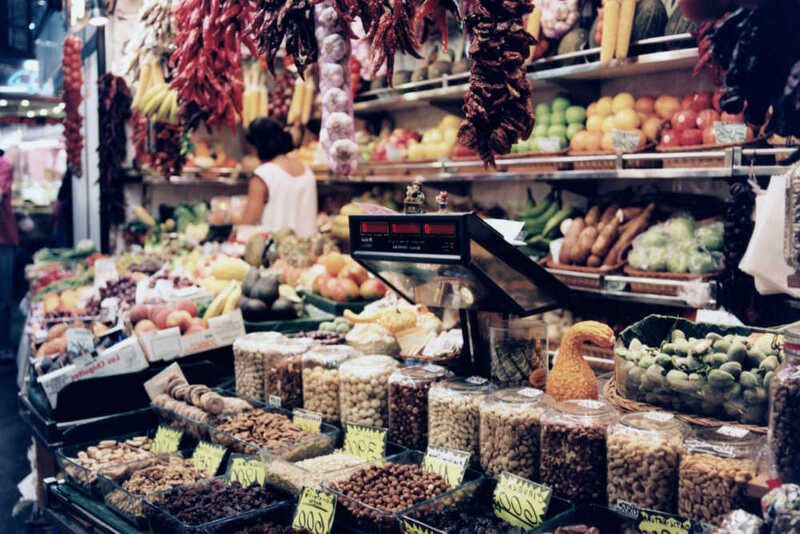 Meet with locals and explore the best restaurants in Barcelona! A nice burger is always a good idea! But also don't miss the chance to taste the "Rústicas" potatoes with roast garlic aioli and home made "bacon-chorizo" relish! *Check the quality of the product literally by your hands before buying it. *If you have found something good, do not let it go out of your hands before you have decided. Otherwise it's gone forever! *Get over it and bargain! Turkish sellers consider it impolite if you agree with the first price they give. The more you buy, the higher is your chance to get some nice reduction. Craving a real kebab? Here it is grilled on a traditional grill with a copper hood. Tastes great and costs cheap. Our special recommendation: ali nazık (pickled beef with eggplant purée). Opened in 1927, the restaurant is still a family-run business specialized in a seafood. Be brave and discover new tastes. Try kalkan - a type of turbo - that is simply scrumptious. It is a huge gathering of hundreds of merchants selling fruits, vegetables, spices, fish, dairy products, etc. It takes place at Hasanpasa and the best way to get there is to take a taxi for a short ride to the marketplace.